Christian and Muslim fundamentalism – two sides of the same coin! The brilliant thing about the conference that took place in Amman is that the participants recognise that fundamentalism, whatever religious garb it comes clothed in, is basically the same beast! I appreciate that this seems counter-intuitive. Christian fundamentalism and Islamic fundamentalism seem to be at the opposite ends of the pole. In truth though they are two sides of the same coin! Both are characterised by the same mindless group-think and both share the same propensity for violence. My understanding is that genuine religion always combines faith, hope and love – all three – and that it’s when one of these fundamental elements is left out that things degenerate into immorality and violence. Fundamentalism, as I see it, is a deadly combination of faith and hope that leaves out love, and when you leave out love you leave out God (see my sermon on the subject here). The key thing is for Christians and Muslims to recognise is that fundamentalism is a common enemy. In my view, Christianity and Islam differ greatly as religions but fundamentalism really doesn’t deserve the label ‘religion’ at all! Extremism, a major dilemma facing the world today, is an ideology created and nurtured by radicals with a specific agenda and has no relation to religion or its high ethical and spiritual values, participants at a conference said on Wednesday. Christianity and Islam do not divide people, but seek to bring them together, Royal Institute for Inter-Faith Studies (RIIFS) Director Michel Hamarneh told The Jordan Times. “The call in both Christianity and Islam is for the better and brotherhood of human beings, in addition to spreading love and respect,” Hamarneh said at a conference on “Extremism… Reasons and Solution”. The two-day event, which aims to spread the values of the Amman Message, hosted Muslim and Christian religious and political figures, as well as university professors from around the Middle East. The Amman Message, issued in November 2004, “sought to declare what Islam is and what it is not, and what actions represent it and what actions do not. Its goal was to clarify to the modern world the true nature of Islam and the nature of true Islam,” according to its official website. “The desired result is that decision makers attending the seminar will have a positive impact on the people around them, spreading awareness among the younger generation, but most importantly taking decisions that will positively change the existing conditions,” Hamarneh added. In his opening address, he noted that the social and economic circumstances, such as unemployment and the different classes of society, have played a major role in nurturing extremism. Hamarneh said media and education in “our societies” play a great role in creating extremism and extreme reactions, manipulating the minds and feelings of impressionable youths. Mohammad Abu Zaid, a guest speaker from Lebanon who is a judge and professor of Islamic thought at the University of Saida, said the results of research and studies he conducted show that poor economic conditions in any society nurture extremism and terrorism. He added that poverty alone does not create extremism, but is a major contributing factor. Husni Ayish, Jordanian author and intellectual, told The Jordan Times that a serious society which seeks positive change should first start reviewing its educational system. He warned against radical teachers and professors who spread extremist thought among their students, in addition to media outlets which, instead of raising awareness against terrorism, are but “extremists who encourage this exact thought”. 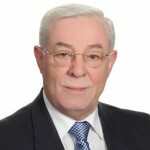 Ghazi Musharbash, a former MP, said Western media’s attack on the Middle East affects all Arabs, Christians and Muslims alike, “for the benefit of the Israelis”. “The Western media tries its best to show that Arabs are terrorists, but the reality is that Israel is the terrorist country since it occupies Palestine,” Musharbash added. Speaking at the event, Awqaf Ministry Secretary General Mohammad Roud said extremists and moderates are found in every religion, calling for differentiating between Islam and wrong practices in the name of Islam. The media, he said, can play either a positive or negative role in feeding or reducing the impact of terrorism. “It is our role as decision makers, professors, preachers, priests and pastors to raise our children properly” to serve humanity and not give way to extremism, Roud added in a speech delivered on behalf of Awqaf Minister Hayel Dawood. Father Imad Twal, a Catholic priest, said accepting the other as is and granting all citizens, regardless of their religion, their rights is the only path to reaching and practising freedom. The conference, supported by the EU, is organised by the RIIFS in cooperation with the ministries of awqaf and planning, and the British Council. Christians and Muslims united ‘as one hand’ in Egypt! This is a beautiful video from #MyJihad. The setting is Cairo, Egypt. Imam Mazhar Shaheen from Omar Makram Mosque attends the Qasr El-Dobara church for Christmas, along with a goodly number of his own congregation. The testimony of Imam Mazhar is that the experience of standing alongside each other in the battle for a new Egypt has formed a new unity between the Christians and Muslims of Egypt. That unity has always been there as Egyptian Christians and Muslims have lived and fought alongside each other over the generations, but the ordeal of the ‘Arab Spring’ in Egypt has made the bond even closer! The visit of the Imam reminds me very strongly of my dear friend Sheikh Mansour visiting our small church here in Dulwich Hill during Easter of 2010. This video is a message of hope for Egypt. It is also a message of hope for all humanity – that the unity we discover in working together for a better world is more powerful than any of the differences that divide us! If you can’t view this video, click here. And unless you understand Arabic, make sure you have the captions turned on. Against the backdrop of a recent fire in Kenya’s Embu county, which destroyed the property of 17 families, a joint Christian-Muslim congregation prayed together and held a fundraiser for those affected by the local disaster. This was an encouraging thing to take place ahead of the country’s general elections. He advised people to pray for peace and work towards achieving the same, noting that when the country is at war it is mostly women and children who suffer the most. He said whatever happened in Mombasa recently when youths took to the streets to protest the killing of a Muslim cleric should not be taken as religious intolerance. “All of us despite our religion or other affiliations should act as ambassadors of peace. Even as we vote in the next General Election, it is imperative to vote in people based on their leadership ability and not on other attributes,” said Njeru. Bosnia was the scene of the worst atrocities committed in Europe since the second World War, so it was encouraging to see local leaders of Orthodox, Roman Catholic, Muslim and Jewish communities recently make a joint call for peace between their respective communities. Bosnia’s 1992-1995 war, which saw the country’s three main ethnic groups — Orthodox Serbs, Catholic Croats and Muslims — fight each other, left some 100,000 people dead. Relations between the three main communities remain deeply damaged 17 years on. Muslims make up around 40 percent of Bosnia’s population of some 3.8 million. Serbs and Croats account for 31 and 10 percent of the population respectively. “We have to carry in ourselves the seeds of peace and plant them wherever we are,” Irinej said earlier during a liturgy in the main Serb Orthodox church of Sarajevo. Sarajevo Archbishop Cardinal Vinko Puljic and several members of local Roman Catholic clergy also attended the service. “In Bosnia, everyone prays according to one’s own laws. This city and this country deserve such a privilege,” Cardinal Puljic said. Bosnia’s top Islamic cleric Mustafa Ceric stressed that “in Sarajevo there was never so much spiritual energy like today”, and remembered the victims of the Bosnian war, notably those during the Sarajevo siege in which some 11,000 people were killed. “These victims call for our commitment to nourish peace and work on reconciliation, and they call for our sincere engagement in front of God and in front of humanity that we will do everything that no one nowhere in the world lives through such a tragedy,” Ceric said. Founder of the Sant’Egidio community and current Italian Minister for International Cooperation and Integration Andrea Riccardi called on local communities to have compassion for victims from other sides. “We should be fair, memories of the war are different, but the pain and suffering found in everyone are the same,” he said. “The pain is carved into everyone’s heart and the pain of every mother is the same, regardless her ethnic or religious affiliation,” Riccardi said. “If such a Bosnia dies, the example of ‘living together’ will also die in the future,” he said. This three day gathering in Sarajevo was a step in the right direction, with some 200 religious leaders and officials attending about 30 conferences notably on poverty, immigration, religion in Asia and the Arab world, and dialogue between Christians and Muslims. I like to refer to Dr. Chandra Muzaffar as my friend. In truth, I only met him in person once, but he has always been very gracious to me in correspondence since. I met him back in the 80’s in his home-town of Penang. Dr Muzaffar had come to my attention because of the way he had stood up for the rights of Christians in his own country (and had been targeted by his government for doing so). Thirty years later Dr Muzaffar continues to an outspoken and courageous campaigner for human rights worldwide. He is one of this generations ‘elders’ – a man full of wisdom and compassion – and his insights on the developing situation for Muslim people worldwide need to be heard by everyone. This interview was conducted by GRTV. What Is Happening to Muslims Will Happen to the Rest of Us! God bless you, Chris Hedges, for writing this article, though it puts a knot in my stomach! We Australians are familiar with these barbarities too! My beloved friend, Sheikh Mansour, was deported without trial from this country and thus denied his fundamental right to habeas corpus (see savethesheikh.com for details). As Hedges says, the issue is not whether these people are innocent or guilty of crimes. The issue is that they get a fair trial! The unapologetic us of torture is also an issue of course. How can we (the ‘West’) claim the moral high ground over Islamic world when we resort so easily to torturing our prisoners. It is shameful and despicable. Yes, Hedges is right in that such treatment will not ultimately just be restricted to Muslim people. In the end we all suffer under governments that abandon these basic tenets of morality. Even so, the fact that it is ‘only Muslim people’ who are suffering at the moment does NOT make the situation any more palatable! We must call our governments to account for the way they are treating our Muslim sisters and brothers, whether they are criminals or not! The decision by the European Court of Human Rights last week to refuse to block the extradition of the radical Muslim cleric Abu Hamza al-Masri and four others to the United States on terrorism charges removes one of the last external checks on our emerging gulag state. Masri and the four others, all held in British jails, will soon join hundreds of other Muslims tried in Article III federal courts in the United States over the last decade. Fair trials are unlikely. A disturbing pattern of gross infringements on basic civil liberties, put in place in the name of national security, has poisoned our legal system. These infringements include intrusive surveillance, vague material support charges, the use of prolonged pretrial solitary confinement, classified evidence that the accused cannot review, and the use of political activities, normally protected under the First Amendment, to demonstrate mind-set and intent. Muslims caught up in the Article III courts are denied the opportunity to confront their accusers and to have their religious and political associations protected, and they rarely find a judge courageous enough to protect their rights. These violations of fundamental civil liberties will not, in the end, be reserved exclusively for Muslims once the corporate state feels under siege. What is happening to them will happen to the rest of us. This is not about the guilt or innocence of Masri, an Egyptian who lost an eye and a hand as a mujahedeen fighting in Central Asia and who has repeatedly called for violence against the United States and allegedly helped orchestrate violence. This is about the right of all accused to a fair defense and humane detention conditions. Once Masri arrives on U.S. soil he will receive neither. He will, even before he is tried or convicted, endure prison conditions that replicate the brutality suffered by those in our offshore penal colonies, including the one at Guantanamo Bay. He will enter a world of prolonged and psychologically crippling isolation, made worse by the likely application of so-called special administrative measures. He will spend his days in a tiny cell under constant electronic surveillance. At New York’s Metropolitan Correction Center, where Masri and the other men will most likely first be incarcerated, he will never be allowed outdoors. He will be permitted to spend only one hour a day outside his cell, alone in a cage. Masri and the four other suspects could spend years in these conditions before trial. Because of security restrictions, it will take as long as six months for letters from his family to reach him. His lawyers can be prosecuted if they repeat in public what he tells them, especially about the conditions of his incarceration. And, once he goes on trial, he will be in an Article III court, where national security provisions will almost certainly guarantee his conviction. Once convicted, he and the others are likely to be sent to the federal Administrative Maximum facility (known as ADX), in Florence, Colo., to spend, potentially, a lifetime in solitary confinement. There he will be permitted, at most, an hour a day out of his cell, in a cramped cage nicknamed “the dog run” because it looks like a dog kennel. His meals will be delivered to his cell through a slot. He will not be permitted to work in prison industries or have congregational prayer, an essential tenet of the Muslim faith. There are currently an estimated 25,000 prisoners imprisoned in supermax facilities. They are disproportionately Muslims and people of color. Many, including Hashmi, Dritan Duka, Oussama Kassir and Seifullah Chapman, were not found by the courts to be involved in specific terrorist plots but instead were incarcerated under these conditions for their “material support” to terrorism. The prisons are equipped with special housing units for those who do not show a proper deference to authority. These “H-units” hold prisoners under special administration measures, or SAMs. They live in cells of only 75 to 85 square feet. They endure almost complete social isolation and sensory deprivation as well as round-the-clock electronic surveillance. And it is in these units that even the most resilient are psychologically destroyed. Masri, a burly man who once was a bouncer in a nightclub, is accused of 11 terrorism charges, including attempting to set up a terrorism training camp in a remote area of Oregon and involvement in a kidnapping in Yemen in 1999 in which three British tourists were killed. He was based at north London’s Finsbury Park mosque, which I visited several times when I was covering al-Qaida for The New York Times. His rhetoric was always incendiary and conspiratorial, assuring him press coverage, which I suspected he coveted. He called the 9/11 attacks a Jewish plot and the Columbia space shuttle explosion “punishment from God.” Richard Reid, the hapless shoe bomber, whose past associations I was investigating in London, attended the mosque. Masri was never an important Muslim leader in Britain or abroad. He made headlines mostly because he sought them. He was jailed last year in Britain on charges of soliciting murder and inciting racial hatred. And at that point the U.S. began the process of extradition. Masri faces the possibility of life imprisonment. He will be extradited with four others, including Khaled al-Fawwaz, a Saudi national, and Adel Abdul Bary, another Egyptian. These two men are accused of having been aides to Osama bin Laden in London and allegedly taking part in the 1998 U.S. embassy bombings in East Africa in which more than 200 people were killed and thousands injured. Babar Ahmad, a British citizen in detention since 2004, will also be extradited. He, along with Talha Ahsan, is accused of using his now-closed website, Azzam.com, to support terrorism. Ahmad has been held in custody in Britain without trial for nearly eight years. 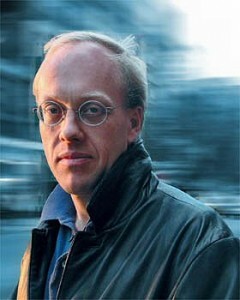 Chris Hedges is an American Pulitzer Prize-winning journalist, and war correspondent specializing in American and Middle Eastern politics and societies.